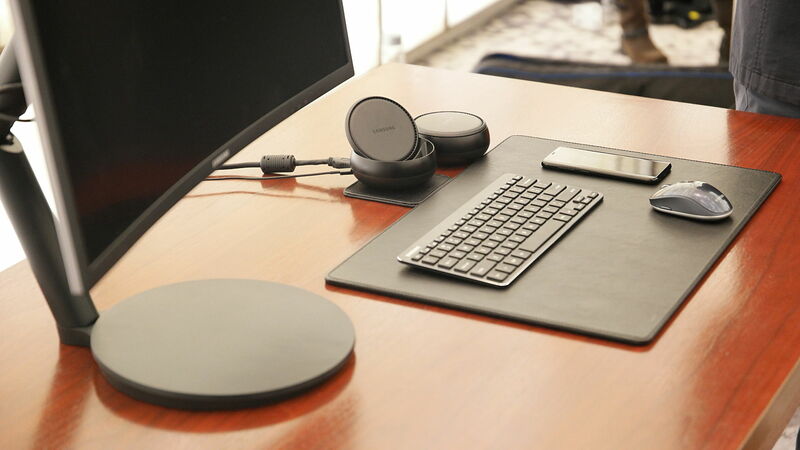 Samsung DeX lets you connect your Galaxy S8/S8+ and Note8 to a monitor, keyboard, and mouse for a desktop experience powered by your phone. Enjoy your apps on a big screen. 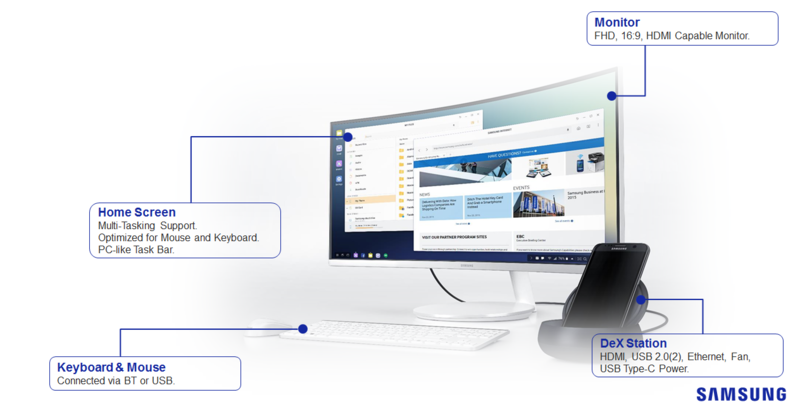 Samsung DeX lets you get the most out of your apps by letting you use them with desktop functions. So now you can do more things with the apps on your phone, just on a bigger screen. Remotely Access Virtual Windows machine via VDI (Virtual Desktop Infrastructure) solutions such as Citrix Receiver, VMware Horizon Client and Amazon WorkSpaces.